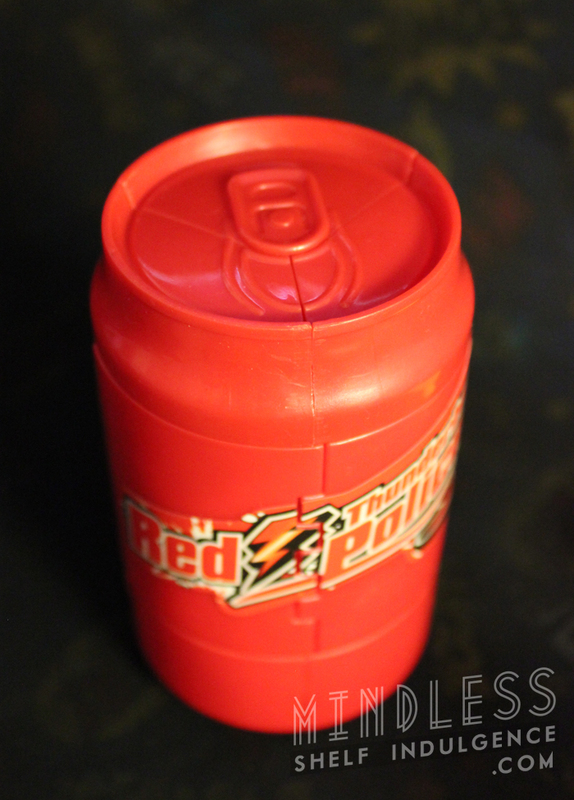 It’s a soda, but it’s also a robot. Can you drink it? Try it and die. When it comes to toy licensing, subtlety is everything. Companies compete violently to turn well-loved properties into exclusive toys, and those toys have to slip into very specific, unfilled areas of toydom to avoid any unsightly overlaps. For example, if one company has the license to make articulated 2″ figures of Teenage Mutant Ninja Turtles, as does LEGO, another company generally can’t make the same scale and type of figure. However, if another company makes the same type of articulated 2″ figure and sells them with keychain attachments, it’s a perfectly legal loophole in their exclusivity contract because it’s a different class of item… and that’s exactly what Diamond did with their TMNT Minimate keychains. 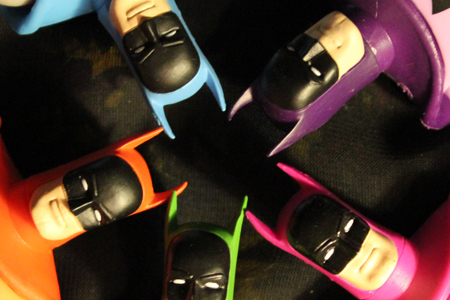 The world of action figures and collectibles is full of objects which skirt around these exclusivity clauses, and the world of nerds is usually richer for it. 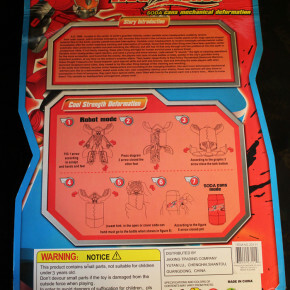 So, when now-defunct company ToyBiz, who had exclusive rights to Marvel Comics action figures, saw the re-rising popularity of Hasbro’s Transformers, they decided to slip into the transforming action figure game with a line called Shape Shifters… and it was gloriously terrible. 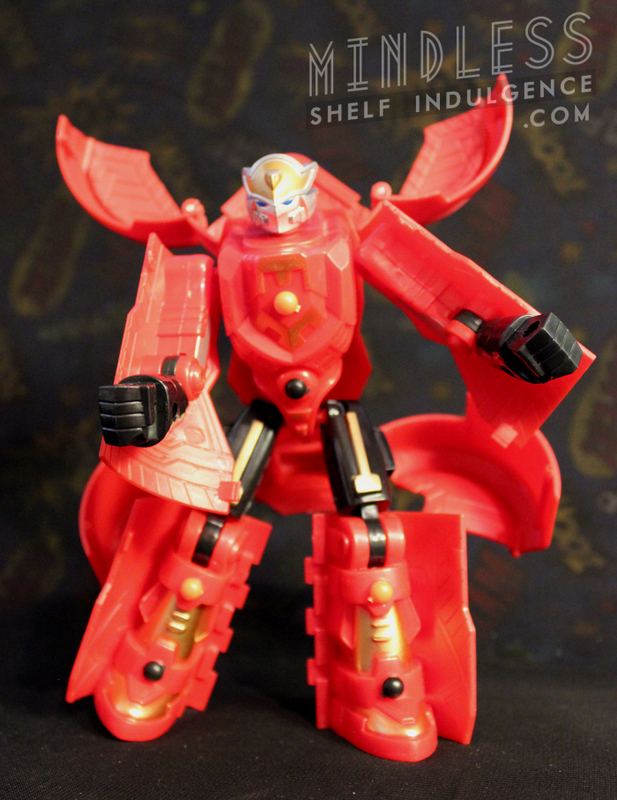 There was never any doubt that these were copies of Transformers… they were just very bad copies. ToyBiz made amazing contributions to the world of action figures, most notably incorporating the idea of build-a-figures (assembled by purchasing every figure in a wave and making another figure from spare parts included in each box), and their amazing use of versatile joints. 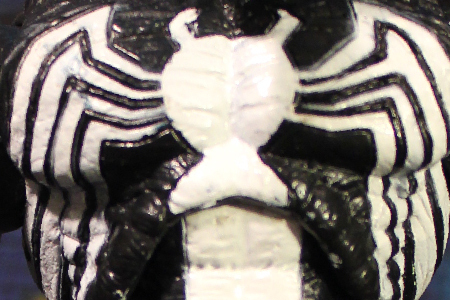 No toydork will ever forget the Spider-Man with the articulated fingers, or their artist-specific interpretations of classic characters. For all that ToyBiz did, Shape Shifters was an amazingly bad idea. Hulk becomes a Dino-Beast. 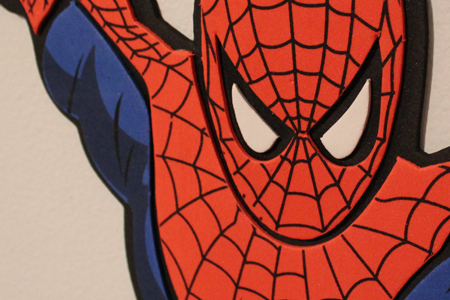 Spider-Man becomes a Spider-Bat, whatever that is. Captain America becomes an eagle, and Hawkeye becomes a hawk. Most notoriously, Punisher becomes a gun, but also becomes a man with an enormous bullet-shooting, orange-tipped wang midway through his transformation. And Thor… well, he becomes a Pegasus. A horribly misshapen Pegasus begging for the sweet release of death. None of these transformations really seemed complete, like those terrifying middle-phases on the covers of Animorphs books. Pegathor is a twisted mockery of flesh, half-Asgardian, half-magic-horse. It’s hard to quantify the number of ways this is bizarre. Thor’s head pivots along an axis balanced by a secret horse head which is nestled into his body, and both share a flowing mane of golden hair. Thor’s arms also pivot from their wrists as his shoulderpads become hooves, and his hands desperately grasp at weird pegs mounted near the horse’s neck. Similarly, his legs pivot inward and his kneepads become hooves, and his bizarrely textured cape reveals itself to actually be horse-like musculature, if horses were knots of senseless meat with no purpose. 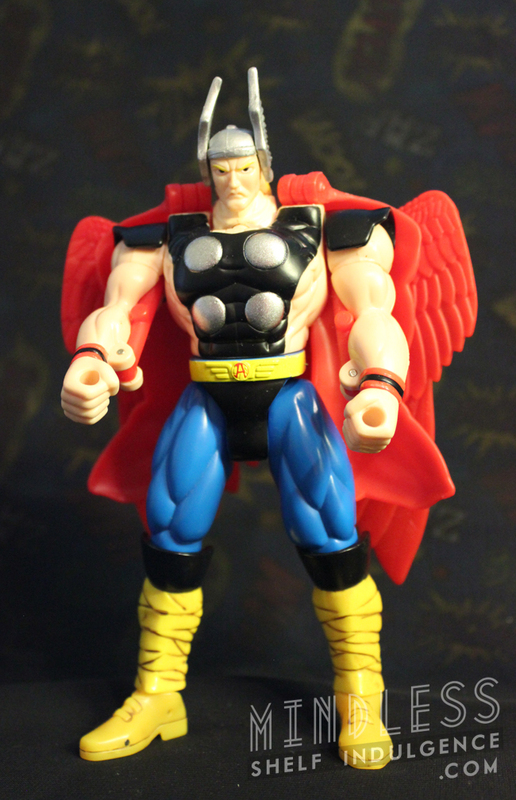 Wings emerge from Thor’s back, and all hope for the universe is lost as children weep. 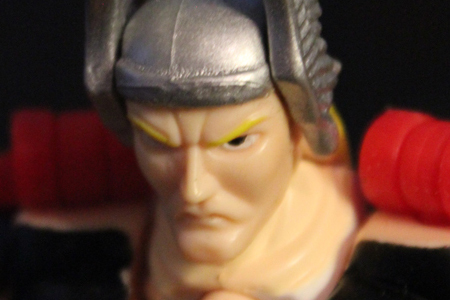 When the deed is done, you have neither Thor nor Pegasus, but ToyBiz has your money, and that’s all that matters. It’s a confusing mess that acts as a parasite on a more popular property, and without any of the ingenuity that made Transformers great. Not only does this toy demonstrate a lazy cash-grab, but it demonstrates a lack of understanding for the character of Marvel’s Thor. After all, Thor’s buddy Beta Ray Bill is already a Thor-themed horse hero… so why make Thor a horse instead of some other amazing Norse creature? Norse mythology is lousy with dragons and stags and birds which would suit Thor and possibly eschew the need for these fleshy forelegs. Thorse is worth having, if only as a reminder of what’s at the true heart of action figure manufacturing. 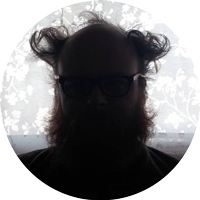 It’s not the delight of children, or the awe of collectors, or to even capture a rich fantasy world in an interactive format. It’s making a buck. Look upon this action figure and be reminded that bad ideas can make it very far, and only we have the power to stop them. 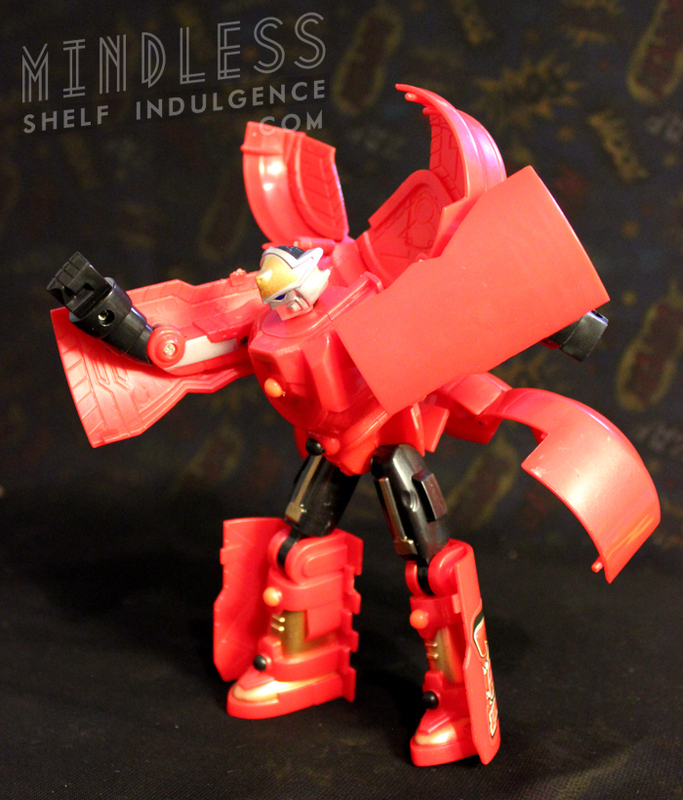 ToyBiz isn’t the only company guilty of suckling at the teat of Transformers. 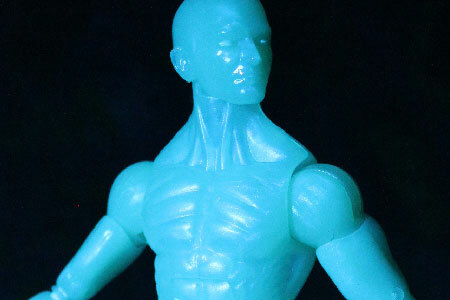 Countless companies work their weird magic to make Transformer-like toys, and some even have a fair amount of success — if not monetarily, aesthetically. I have a specific love of figures that represent food, from McDonald’s chicken nugget guys to Yumyum’s designer Hotdog action figure. Maybe it’s the idea of playing with one’s food being forbidden, but combining the two disparate ideas is appealing. 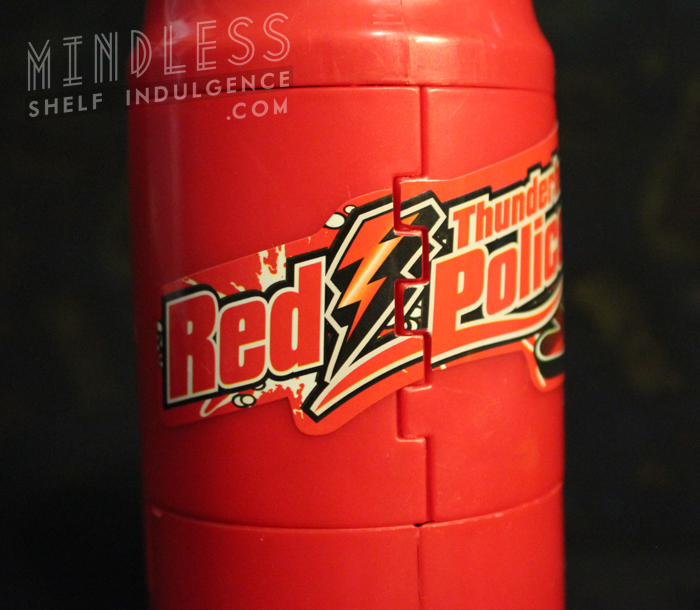 And having spent a few very self-destructive years drinking Mountain Dew Code Red while I was in college, I can appreciate Red Thunderbolt Police on a strangely nostalgic level. While not an authentic Transformer, it comes from a real place. 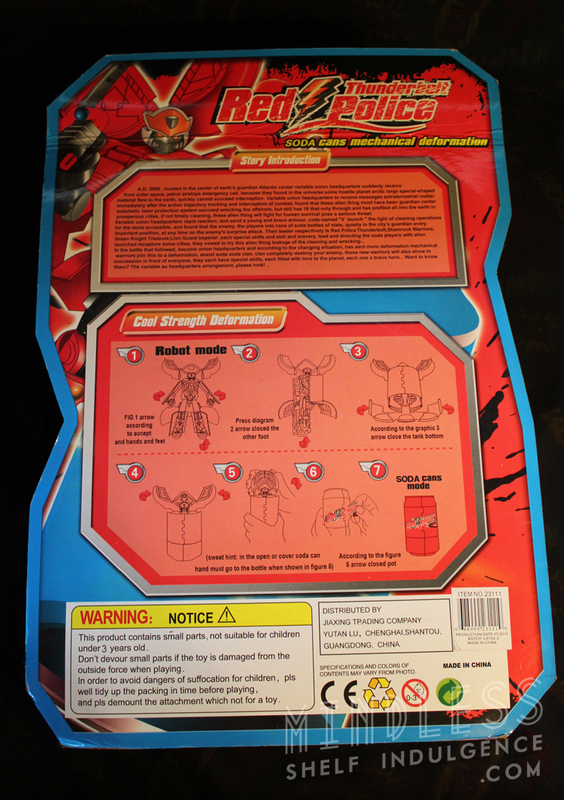 Transformers fans are constantly seeking exact toy translations from the screen, and companies have even sprung up specifically to fulfill that need, producing accessories and modifications to augment and improve authentic Transformers, using slightly different names for their wares to avoid copyright issues. 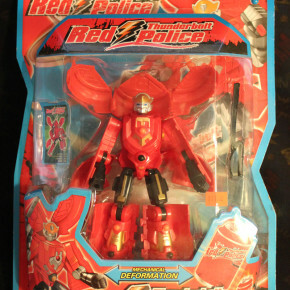 There’s no law saying that a company can’t produce unlicensed improvements and accessories for existing toys, providing that they don’t directly profit by using the other company’s copyrights or trademarks. You can sell stickers specifically for LEGO, but you just can’t use the word LEGO. 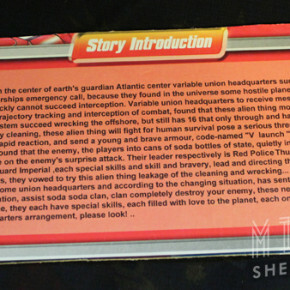 So, complete with a poorly-translated bio, soda can robot fills a certain soda can-shaped hole in the heart of Transformers collectors. To date, Hasbro hasn’t made an actual transforming soda machine, but they have created a few Mountain Dew-related robots. This is cooler, by far, and engineered like an actual Transformer, frustrations and all. With enough twisting and balancing, this guy actually transforms into a half-convincing can of soda. 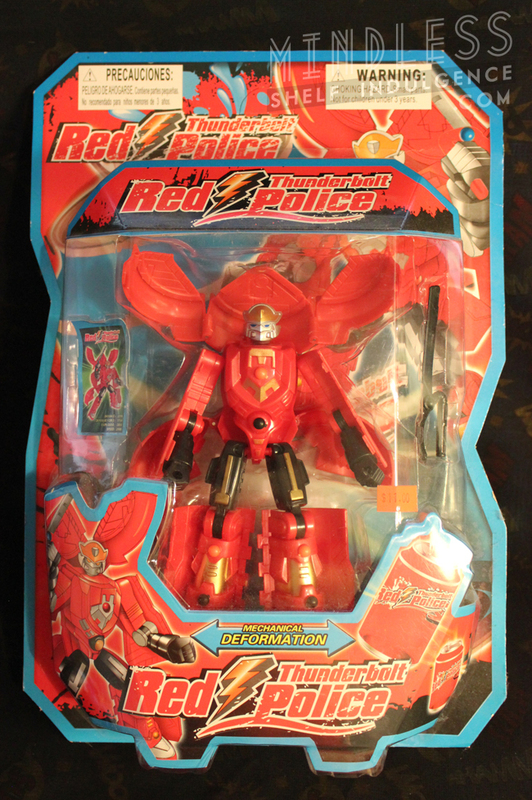 Thunderbolt Police is something that people actually wanted to see, and has a foundation in accepted Transformers mythology. 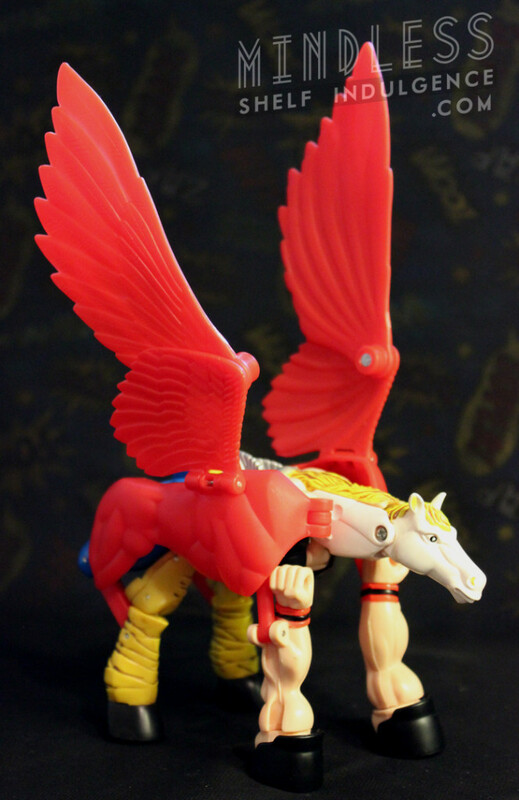 Thor Pegasus is something that no one asked for, and as a result, is a sad comment on the entire genre of transforming toys.